UDM Downloads > Check Printing Software 2000! 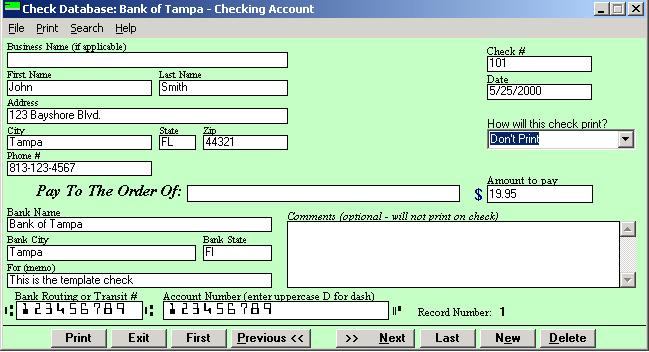 Check Printing Software 2000 prints MICR checks for USA and Canadian banks from blank check stock and can also create pre-printed bank checks for accounting applications including Quicken, QuickBooks or Microsoft Money. Version 2 now supports personal and business sized checks, and best of all it is FREE.